The Dundee Partnership is determined to make Dundee a more successful and fairer city and we’ve been preparing our ideas and plans about how we will do this over the next ten years. We’ve prepared a draft Local Outcome Improvement Plan for 2017-26 that builds on the ongoing extensive community engagement undertaken by partners and agencies across the city. It also incorporates the results of the Engage Dundee process. So we’ve been listening carefully to your views and we hope that this plan shows that we know what your priorities are. Read the draft here. But this is still a consultation draft so at this stage we are describing our city, the economic and social outcomes we are determined to achieve, and setting out our priorities for action. Over the next few months we will be collecting the most accurate and informative performance indicators to help us map out our progress and setting targets to stretch us to do better. Our final version will be published by October 2017. Please let us know what you think by 18 August. To gather your views, we’ve prepared a feedback form that can be found on the Dundee Partnership website here, it can be completed online or downloaded for completion and emailed to us at dundee.partnership@dundeecity.gov.uk or hard copies posted to Dundee Partnership Team, Floor 4, 5 City Square, Dundee, DD1 3BG. 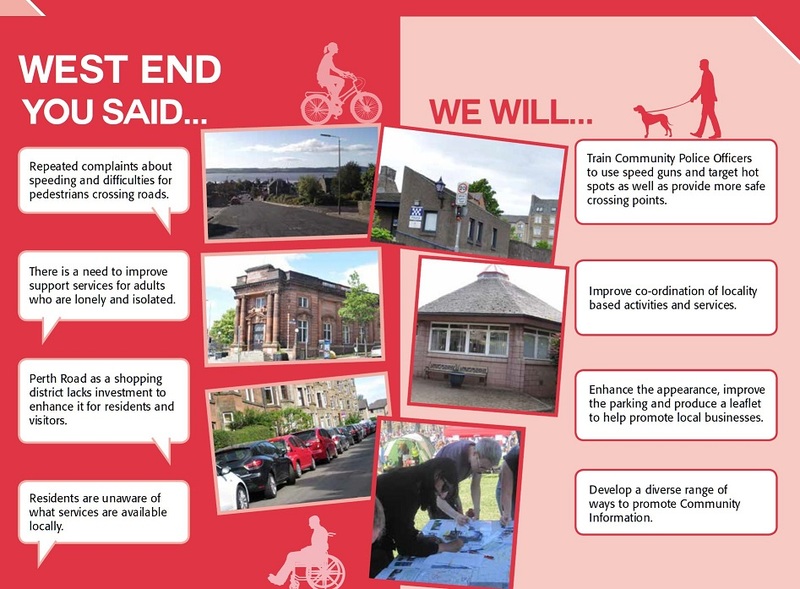 As part of the local community planning partnership (LCPP) arrangements across the city, council communities officers produce a quarterly e-mail update on activities and in their LCPP area (there are eight of them across Dundee, each covering a council ward). The West End one is produced by Natalie Mackland, our excellent communities officer, with input from various organisations and the March 2014 one has just been published. 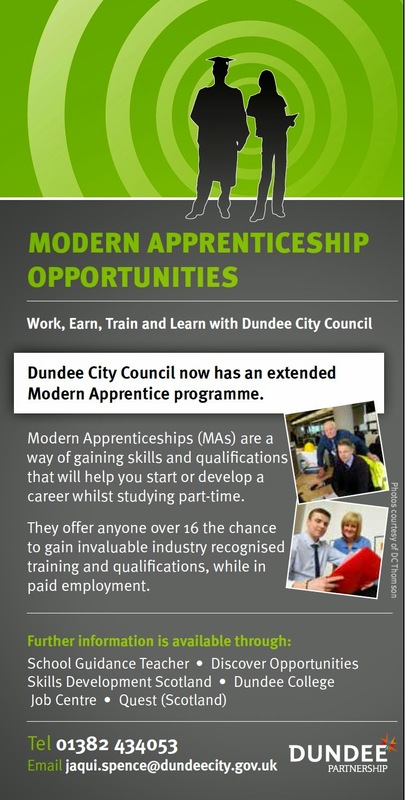 This can be downloaded from the Dundee Partnership website here (along with previous editions from 2013). 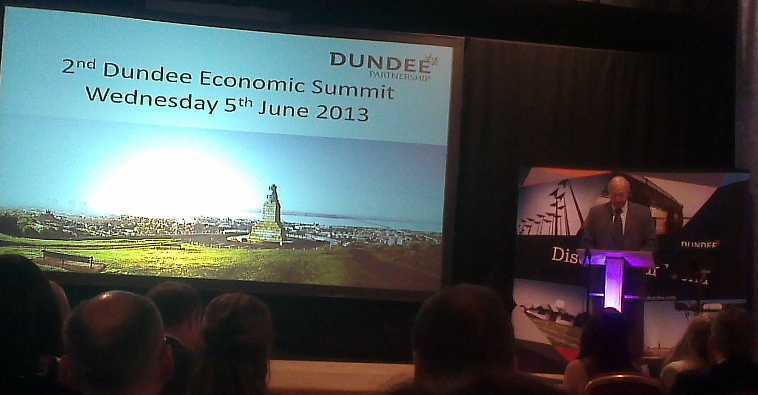 This morning, I attended Dundee’s Second Economic Summit, at the Bonar Hall. Like last year’s summit, it was extremely well-attended and it was good to see so many of the city’s employers represented. There were a number of very interesting presentations and I was, in particular, fascinated by the excellent contribution by Herman Twickler, Managing Director of the PressureFab Group, the leading designer and manufacturer of offshore transport and development equipment, and based in the West End Ward at Wright Avenue. Not only did Herman give an insight into the astounding success of PressureFab over the past four years, he also led the calls for employers to take on more modern apprentices. The photograph below is of David Dorward, the City Council’s Chief Executive, launching the “Discover Opportunities Employers’ Pledge” to encourage employers to help maximise employment opportunities for young people and adults across Dundee to support business growth and develop our city’s economy. 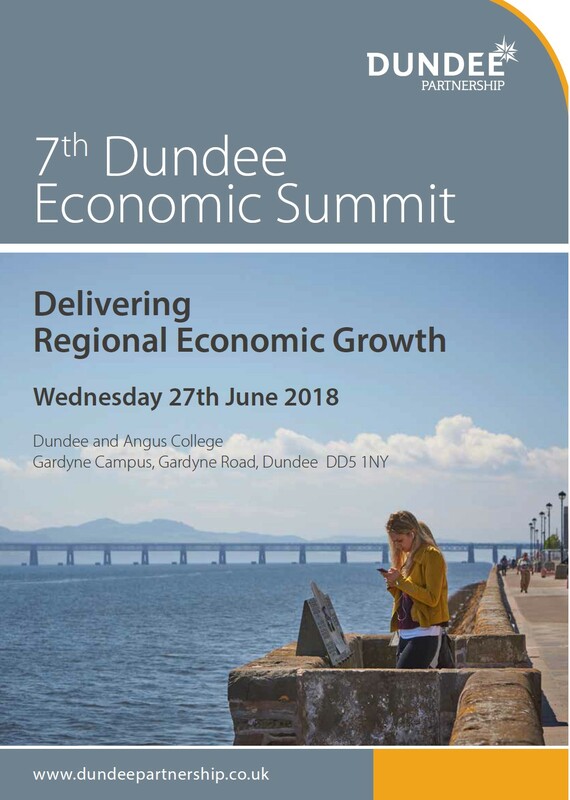 What was striking this morning was the great sense of drive, confidence and optimism about our city’s future and the key role Dundee’s employers have in taking the city forward. Last night, I had the pleasure of attending the 2012 Dundee Partnership Awards Dinner at the City Chambers – see right. It was a very enjoyable evening and great to see the winning local organisations recognised for the work they do in local communities across Dundee. Amongst the winners last night was the Food Train, which has expanded rapidly thanks to the hard work of Grant Simmons, his colleague and the team of volunteers who provide an invaluable shopping service to elderly people across the city.